Great looking Halloween Party plate. Having a big Halloween party? Why not make it a little interesting and get the Halloween spirit going with this spooky looking number plate shaped sign. It consists of a horror background in a washed out effect with a horror font style for the text and not forgetting the ghost on the left. 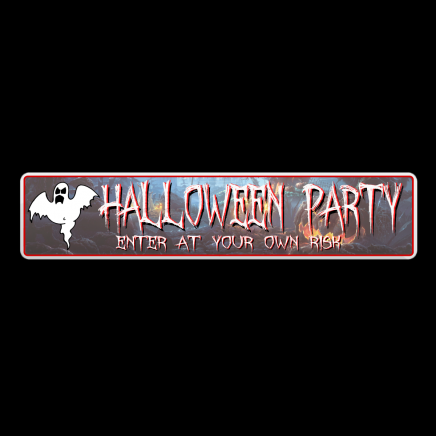 You can customise this Halloween sign by entering your own bottom line text to replace the default text as shown in the example picture.